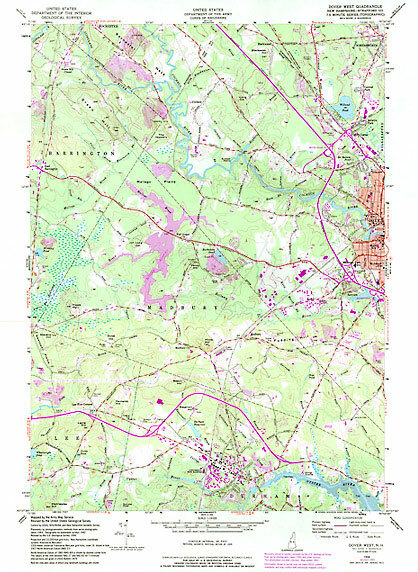 The Dover West, NH Topographic Quadrangle map is shown below. To locate various elements of the map for cataloging, click on the the map at the location of the element. MARC-tagged record for this map.